Christmas is right around the corner and that means it’s time for some last minute shopping. You want to get your family gifts they’ll remember but everything just seems so boring. Do they really need that neck pillow from Brookstone? Instead of getting them something store bought, why not get them something they’ve never seen or heard of before. 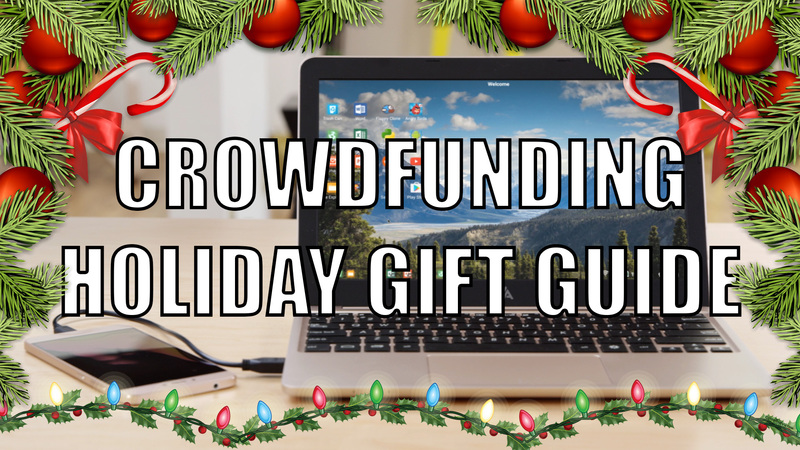 That’s where this crowdfunding gift guide comes in. Let’s take a look at some of the most interesting products you can back and ship to your loved ones for Christmas. Who knew a water bottle industry needed disruption? The Hydra SmartBottle isn’t your normal dumb water bottle that’s only good for carrying water. It comes with built-in LED lights to help increase your visibility at night, has a built-in Bluetooth speaker, and can act as a power bank for recharging your phone in emergencies. The Hydra bottle was successfully funded in 2015 and is now available on Amazon. Everyone needs a good set of headphones and now that the iPhone 7 is out, users are looking for Lightning enabled headphones. If you have an audiophile with an iPhone 7 in your life, the Capri earbuds are a great choice. The headphones come with their own built in digital to analog converter (DAC) and amp so music will sound better than if they plugged in normal headphones into their phone. They also have a detachable cable so you don’t have to throw the headphones away if the cable gets damaged. 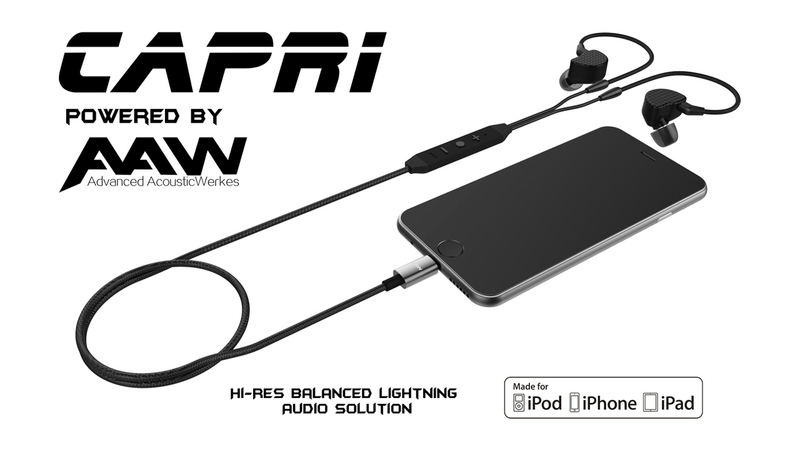 The Capri earphones are going for $89 on Indiegogo right now (MSRP $199) and will ship in March 2017. Have a tea lover in the family? Then get them the Qi Aerista smart tea maker. This tea maker has a unique brewing process that optimally infuses tea via a patent pending water immersion system that ensures perfect brewing every time. 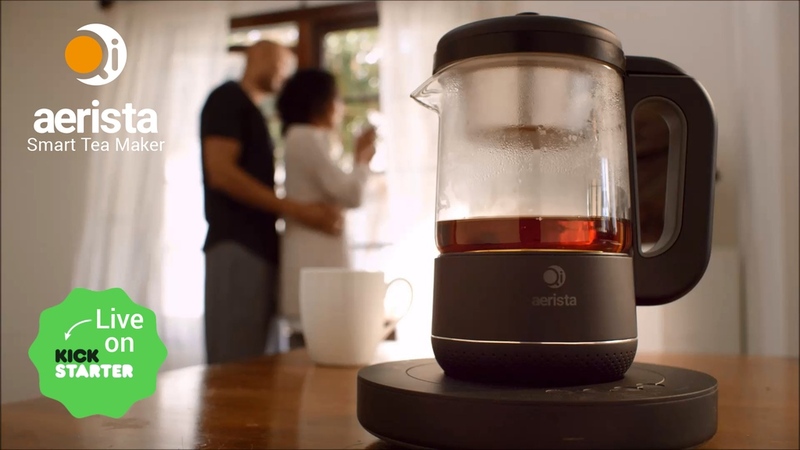 The Qi Aerista is also Wi-Fi enabled so you can customize your brew recipes and can even schedule brewing times so you wake up to a fresh cup every morning. Qi Aerista has been fully funded and is expected to ship June 2017. The Pilot may look like wireless headphones, but it’s actually a language translator. It works by listening to your speech and translating it to the set language so you can communicate with someone speaking a different language. The Pilot comes in pairs, which means you wear one earpiece and give the other to the person you’re trying to communicate with. The translation works on the fly and the team is working to make translations as fast as possible. The Pilot was funded on Indiegogo in June 2016 and is estimated to ship May 2017. Want to learn the play the guitar but find the learning process frustrating? 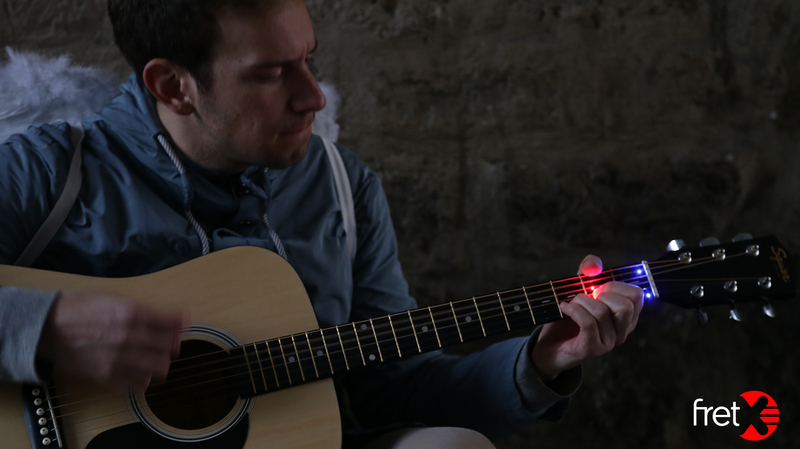 The FRETX attaches to any existing guitar and teaches users how to play via a its built-in LEDs. FRETX pairs with an app so you can download new songs to learn and track your progress. The app also includes a guitar tuner so you know your guitar is tuned properly before playing. FRETX was fully funded this month and is expected to ship May 2017. If you have a photographer in your life, check out the SHOTBOX 2.0. It’s a fully portable photo studio that’s great for food and macro photography. It’s a lightbox that collapses down so you can take it with you anywhere. You can even use it as a scanning device with your smartphone! It even comes with different background prints to add some flair to your photography. The SHOTBOX 2.0 was fully funded in October 2016 and is estimated to ship in January 2017. The smartwatch craze has tapered off and smartwatch makers like Pebble have folded due to low sales. One of the problems with smartwatches is that they just don’t do much. But what if you wanted a smart device that you can share with your family? The Glance Clock is a smart wall clock that shows you your most important notifications at just the right time. It can tell you the weather, when your Uber has arrived, your fitness goals and much more. It even works with Amazon Echo for voice controls. Glance Clock was fully funded October 2016 and is estimated to ship February 2017. Having an herb garden is nice, but it’s a lot of work to maintain. That’s where the Smart Garden comes in. 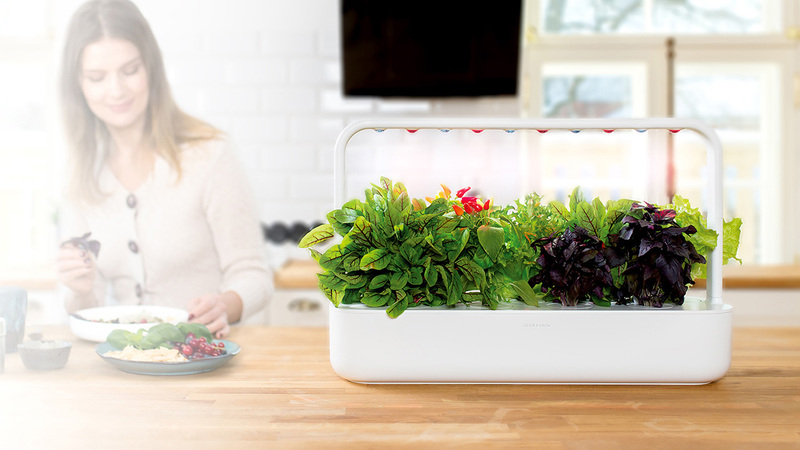 All you have to do is fill its water tank, plug it in, and watch your herbs grow. The Smart Garden uses its own Smart Soil, which was made to evenly distribute water and air to plants. In just a few weeks, you can have all the basil, kale, tomatoes, and whatever other vegetables you want right in your kitchen. The Smart Garden is about to be fully funded on Kickstarter and is expected to ship July 2017. Do you have a programmer in the family? He or she’s going to love the Ultimate Hacking Keyboard (UHK). Normal keyboard aren’t the most comfortable for people who type for hours throughout the day. 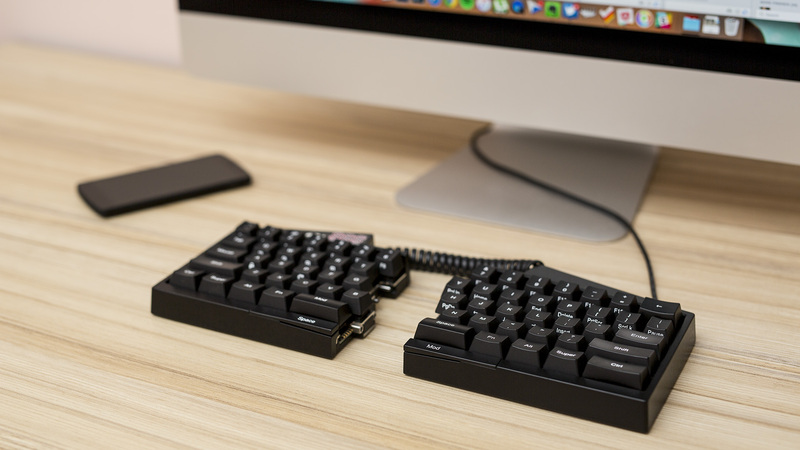 While ergonomic keyboards exist, they’re often focused on typing and no programming, The Ultimate Hacking Keyboard minimizes movements needed to reduce the chance of repetitive stress injuries and also supports mods that expand on the functionality of the keyboard. The UHK was fully funded in December 2015 and is expected to ship February 2017. Know someone who loves cars? DR!FT could be the perfect gift for them. This smartphone controlled car lets you race and drift across any flat surface. You can tune the driving dynamics of the car via its smartphone app, making it as easy or challenging to drive as you want. Plus, you can pull of sick drifts without burning through actual tries or getting arrested. DR!FT has 14 days left in its Kickstarter campaign at the time of this writing and is expected to ship August 2017. We all live on your phones these days but they’re not the best device for actually getting things done. Sometimes you need a big screen and a keyboard to do work. Laptops can be expensive and we’re already carrying supercomputers in our pocket. Superbook lets you turn your Android smartphone into a full-fledged laptop for working on the go. For $100, you get a laptop that’s powered by your phone and won’t become obsolete in a few years as it runs off your smartphone. 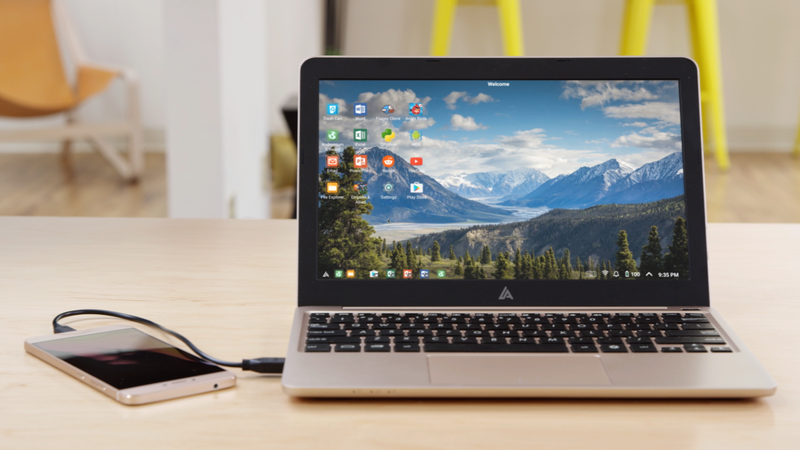 The Superbook was successfully crowdfunded and expected to ship in March 2017. There are plenty of home security cameras on the market, but none of them can track movement until now. iCamera KEEP Pro is a smart home security system that features motion tracking, can detect smoke and CO2, and can create timelapse videos. The iCamera KEEP Pro works with a smartphone app to let you know of any anomalies in your home while you’re away. Best of all, it has free cloud and local storage so you don’t have to pay expensive monthly subscription fees. iCamera KEEP Pro has 14 days left on its Kickstarter campaign, which has already been fully funded at the time of this writing. Expected delivery date is March 2017.